We are proud to have been rated as Exceeding by the Australian Children’s Education & Care Quality Authority. A high staff-to child ratio, reasonable fees, a vast outdoor playground, nutritious cooked meals and loving staff are just some of the benefits we can offer your child and family. Children are grouped according to age, needs and anticipated school entry date. We are proud of retaining long term, loyal staff and have two full time staff members who provide relief for Programming and leave to ensure continuity of care for our children. We have a full time Director and part time Office Administration/Bookkeeper. Our program for each room takes into account the need and importance for indoor and outdoor play, projects of learning, group times and structured learning experiences, sleep and rest time. In the early mornings and late afternoons, the children in the two older groups play together. All rooms are together for the first and last half hour of the day for family grouping and ratio’s. Attendance at the centre can be two, three, four or five days. 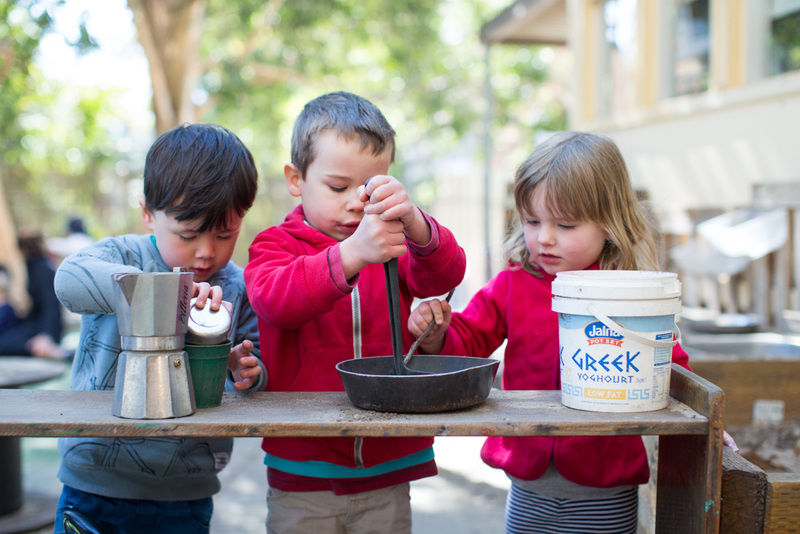 Children are offered delicious, nutritious meals prepared daily on the premises by our passionate cook. She has been with us for us 20+ years. Her recipes are guaranteed to appeal to even the fussiest eaters!